We often miss opportunities to generate and share knowledge about actual practice from student competitions and CLE programs. This post in the mini-course suggests some ways to get more benefit from these activities. When I have judged student skills competitions at my school, typically one or both of the other judges in my “panel” were practicing lawyers. We exchanged our views (privately and in feedback sessions with the students), which sometimes overlapped and sometimes didn’t. These discussions usually were quite interesting and I thought it was too bad that we felt rushed and that our feedback was limited to the small group of students in each performance. To harvest the benefit of these discussions, competition organizers could hold a follow-up event in which student competitors and judges could discuss general issues in the students’ performances without identifying any students. This would be a great opportunity for academic and practitioner judges to discuss their perspectives, identifying areas of agreement and disagreement. This should provide a terrific learning experience for everyone. It might be particularly valuable for students who feel upset because they used techniques taught in class, only to be sharply criticized by practitioner-judges. It should be pretty easy to organize a general debriefing event following the competitions. Ideally, it would be scheduled well in advance so that invitations to potential judges would include the date, time, and location of the event. Presumably, judges could get CLE credit for attending the event – and actually learn a lot more than from the judging experience itself. Light refreshments could be provided as an extra incentive for students to attend. Although this event presumably would be of interest primarily to the student competitors and judges, it could be open to everyone in the school and perhaps the local practitioner community as well. The event could be run like a “focus group class,” with selected speakers on a podium, or as a general discussion moderated by a faculty member. To identify issues for discussion, event organizers might ask for suggestions from students in the competition and review judges’ scoring sheets. I love giving talks at CLEs and trainings. I am always fascinated to hear practitioners’ perspectives and they generally are very hungry to learn. Many speakers get some basic information from the audience as part of their talks. 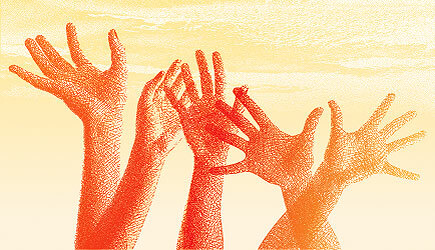 It is not unusual to ask for a show of hands about the audience and their experience. For example, speakers might ask members of the audience about their practices (e.g., as an advocate, mediator, arbitrator), amount of experience, types of cases handled, etc. It would take just a little extra planning to get more substantive information at the outset and at various times during the programs and feeding it back to them as part of the programs. Speakers could elicit responses by having people raise their hands, complete short surveys, meet in small groups to discuss specific questions, use “clickers,” or perhaps use other techniques. Ideally, you would arrange for some way to record the audiences’ responses, perhaps by typing them into a document projected on a screen or collecting survey forms. Any data collected might also be written up and circulated to attendees after the program. In my experience, practitioners generally are fascinated to know how they compare with their colleagues. So they probably would greatly value your distributing information collected at the program. As part of the conversation between the program organizers and speakers, you might discuss whether something like this would be appreciated and, if so, what questions would be good to ask. At the last ABA conference, we had a program in which we asked attendees what they would like to know about negotiation and produced a valuable list of questions. In addition to producing information for the CLE, you could collect data that could contribute to your scholarship. For some examples, see the federal court clerk, cooperative lawyer, and quality of mediation studies described in this post. Of course, if you want to use the information you collect for your scholarship, you would need to get your project approved by your school’s IRB or comparable ethics board.